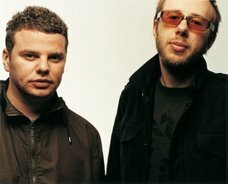 We bring you the full Chemical Brothers triple bill today: a new single, a new LP announcement and a new tour. Although the tour is a full year away, so that hardly counts. Anyway, the new album is called No Geography (which might explain why the tour is so far away, as that’s how long it’ll take to find the venue), and the best release date we have is ‘spring’ 2019. But we do have the first single below, ‘Free Yourself’, which features robots dancing in a warehouse and is both a shout out to the Hey Boy, Hey Girl video, and proof that all good bangers have a bit that sounds like an air raid siren.